Used to perform global search in the current project. Terms are searched in both layout, source code and object names. Provides common configuration options for currently selected objects. This panel reflects both the Inspector Panel selection and the current Design Board selection. Offers a visual representation of your app that can be easily modified with drag and drop. Provides all the controls and objects that can be used in your app. 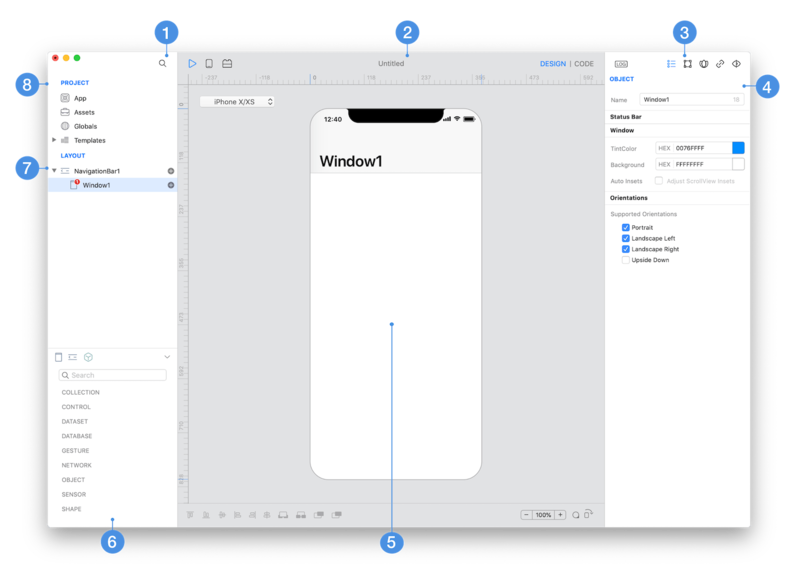 It gives you an overview of your app hierarchy, including navigations, windows, views and subviews.